Contrary to what John Kenneth Gailbraith once said, development is not the faithful imitation of the developed. It is not limited to a Western construct or to the idea that increased consumption is a vehicle for progress. Nor is it limited solely to strengthening the local economy and political system. Instead, it extends to human development; a factor that was discussed at the INDePth Conference. Development, then, should seek to strengthen not only state capacity, but to also build human capabilities at the grassroots level. Amartya Sen makes the argument that the objective of international development should be to build capabilities in people through supporting their abilities to make free choices; unhindered by economic hardship or health issues. In Indonesia, however, these capabilities have hardly been supported in most indigenous farmers. Case in point, gains from agribusinesses such as the palm oil industry, while making a significant contribution to the local economy, have come at the cost of land grabs and therefore cripple the livelihoods of local families reliant on farm land for an income and a home. One of the central concerns of INDePth was to thus identify the key challenges in Indonesia’s development framework, such as the palm oil industry, and to discuss the paradigm shifts necessary to foster inclusive growth. 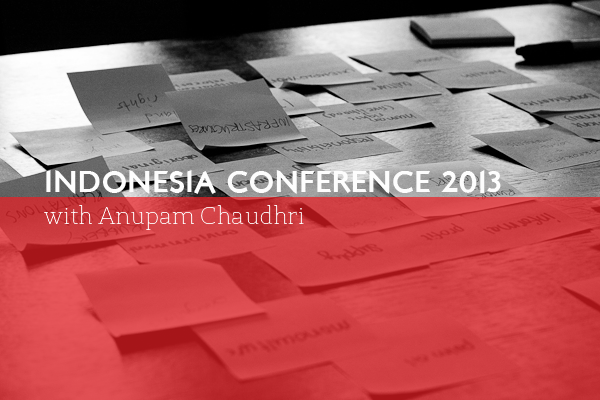 With these challenges, however, came new opportunities to rethink what progress might mean for Indonesia in the future. Upon familiarizing themselves with the issues and challenges, INDePth participants utilized pioneering tools to drive the INDePth agenda and to go beyond the traditional structure normally associated with conferences. Just as alternative and innovative development strategies, for instance, must go beyond the status quo to understand the perspectives of indigenous people involved in negotiations and to emphasize equal dialogue; similarly, INDePth internalized this value for participatory development by creating a “Unconference Sessions”. In these sessions, spread throughout the three days, participants raised ideas and concerns to their peers and formed discussion groups around those topics. Through informal dialogue, students learned from and challenged their peer’s assumptions about development in Indonesia before finally synthesizing these thoughts with the academic content of the workshops. INDePth participants utilized pioneering tools to drive the INDePth agenda and to go beyond the traditional structure normally associated with conferences. As a workshop leader and content developer for the INDePth Conference, I had the privilege of facilitating some of this dialogue and working alongside tremendous talent to bring a fresh and forward-thinking development conference to the University of Toronto. From the experience, I am continued to be convinced of the power of dialogue, especially cross-cultural, in helping us define development issues in a new and innovative light. It is important to realize, however, that arriving at conclusive answers to these issues is not the only valuable end goal, but that simply engaging in discussion with indigenous people and sharing knowledge is a step in the right direction and one that will no doubt be continued at the INDePth Conference 2013 on China.